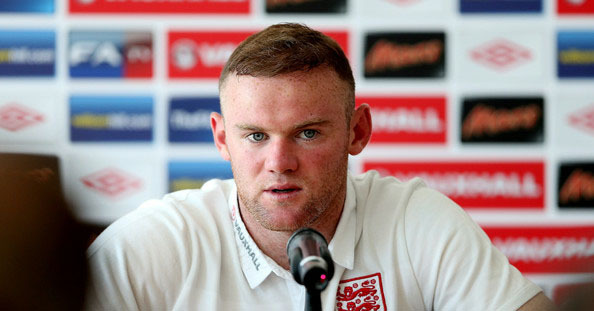 Manchester United striker Wayne Rooney has admitted that England manager Roy Hodgson has some difficult decisions to make, but is confident that the former Liverpool boss will do just that ahead of this summer’s World Cup in Brazil. Rooney and his England teammates recently defeated Denmark in a narrow 1-0 result, with the 29 England players hoping that they’re not left playing at a Norwegian slot portal while Hodgson’s final 23 boards the plane to Brazil this summer. Liverpool striker Daniel Sturridge was the goalscorer on the evening, and Wayne Rooney admits that even he is fighting for his spot in Hodgson’s final 23. The Three Lions haven’t won the World Cup since winning it on their home soil in 1966, but Rooney insists that all of the players are intent on staking their claim for this summer’s showcase. “It’s the last squad before the manager names his 23-man squad so there were 29 of us here and we all wanted to show what we can do, that goes for me to everyone else,” Rooney told Sky Sports. Rooney will be hoping to experience more success on the international level than he’s enjoyed at the club level this year, with the Red Devils finding life difficult under new boss David Moyes. Rooney recently signed a long-term deal with the Red Devils, which gives him a chance to surpass Sir Bobby Charlton as the club’s all-time leading goalscorer.